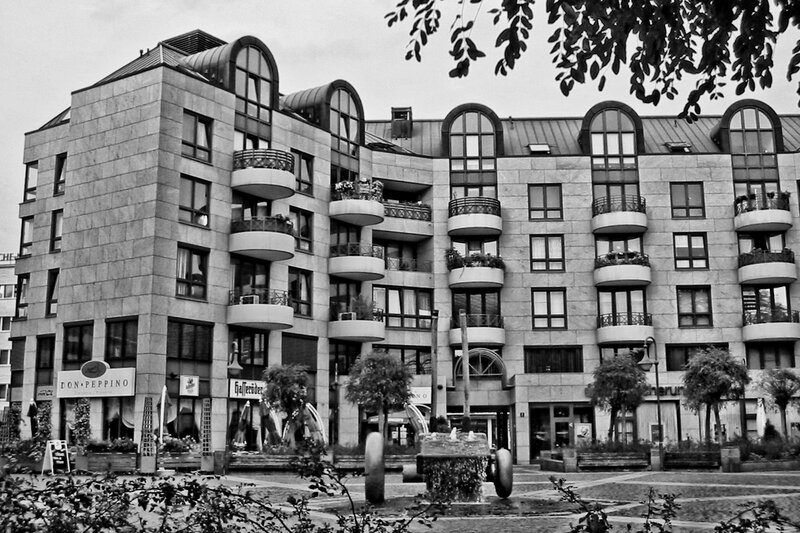 This is part of the front view of the residential buildings on Mülheim’s Berliner Platz. There is actually still a fairly large pedestrian square with a fountain in the middle between this building and the bank, which is behind me in this photo. 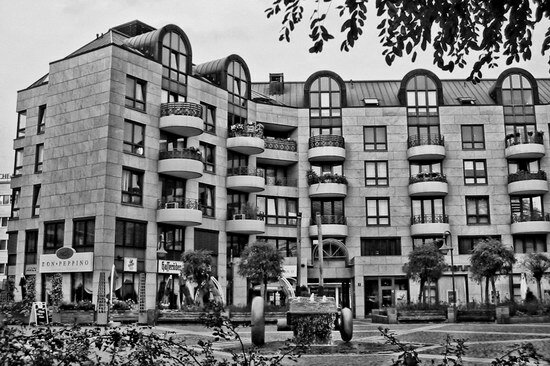 The whole complex would not look much different in colour because it’s basically grey, but it’s certainly not the worst architecture this city has ever seen. This photo is again from 2003, but it does not look much different today save for the trees which have grown a bit.